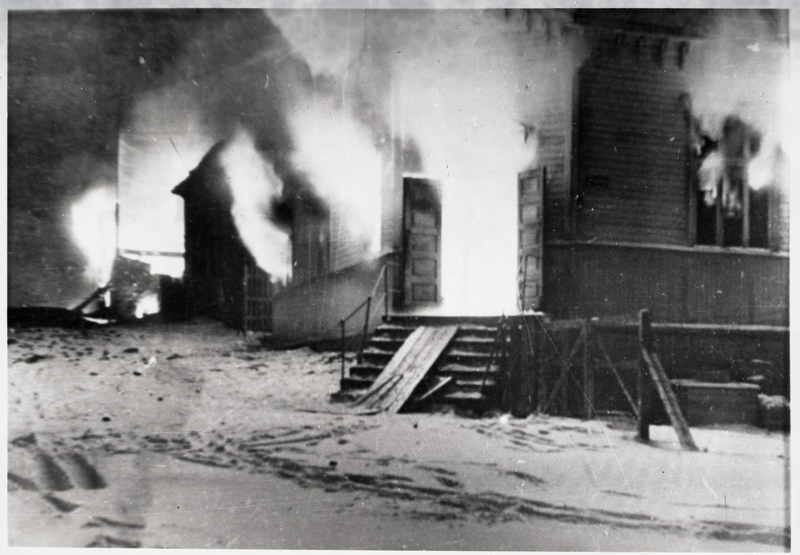 The burning of Hammerfest: picture taken by a German soldier as the town was torched. Picture copyright the Hammerfest Museum of Reconstruction: used with permission. Seventy years ago in February 1945 the modern gas boom town of Hammerfest in the Norwegian Arctic was reduced to ashes by Nazi troops carrying out a scorched earth retreat in the face of a huge Red Army offensive. The razing of Hammerfest, now home to liquefied gas companies producing 2-3 million Euros of gas daily in a boom expected to last three to four decades, is just one of the episodes in Vincent Hunt’s new book ‘Fire and Ice: the Nazis’ scorched earth campaign in Norway’ published by The History Press. Hunt details the destruction of Hammerfest following Hitler’s order in October 1944 for a scorched earth withdrawal in the face of a massive Red Army offensive ending a three-year military stalemate in the Arctic north. More than 200,000 Nazi troops withdrew to fortified positions in the mountains near Tromsø and forcibly evacuated 70,000 civilians in the north before torching their towns so they could not be used by pursuing Soviet troops. Up to 20,000 civilians sought refuge in caves and on outlying islands, where some had to be rescued by Royal Navy destroyers. 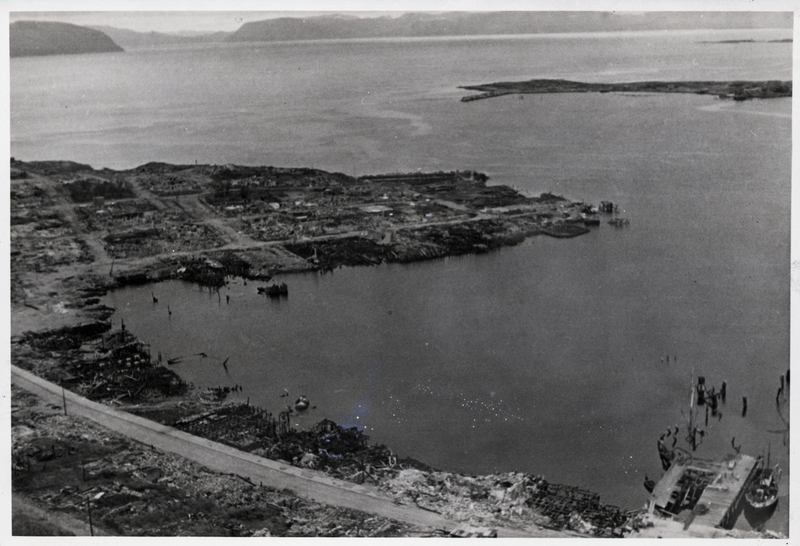 Utter destruction: Hammerfest in 1945 after the scorched earth burning. Picture copyright the Hammerfest Museum of Reconstruction, used with permission. Hammerfest was a major port for the Nazis, a fortified U-boat base and supply centre for ships attacking Allied convoys to Russia in the Arctic Sea. More than 4,000 mines were laid in surrounding sea lanes and numerous anti-aircraft gun positions manned by 400–500 Wehrmacht troops. The author crossed the Arctic regions of Finnmark and Nord-Troms to see the scale of the scorched earth destruction across a region the size of Denmark, and visited the Hammerfest Museum of Reconstruction to see what survived the devastation, including a 1930s barber’s chair buried to save it. The town’s churches, once earmarked to be saved, were consumed by the flames. The only building left standing was a white funeral chapel where German war dead had been buried. The Nazi general who carried out Hitler’s orders – an Austrian called Lothar Rendulic – was cleared of wanton destruction at the post-war Nuremberg trials. He told the court Hammerfest was militarily significant and that not destroying it would have helped the Red Army pursue his men. “We worked through all the possibilities which the enemy had concerning landings. Again and again [we] were confronted with the fact that Hammerfest would be the best point for supply for troops which had already landed. Wages, house prices and the cost of living are high, but many skilled young people are heading to Hammerfest to join the modern gold rush. Gas industry engineering jobs have replaced the traditional and sometimes unreliable trades like fishing and fish processing and reversed a slow but steady drift away. What happened here in wartime hasn’t entirely been forgotten though, says Iversen. Looking back to the time when the town was a pile of smouldering ashes will surely be only a fleeting glimpse for the modern inhabitants of Hammerfest. Making the most of the gas boom and securing the future is surely the priority for today’s generation. Midway through January the fire squads came back, burning the district of Fuglenes and the Feddersen and Nissen fish factory, run by a family with roots in Hammerfest dating back to 1861. 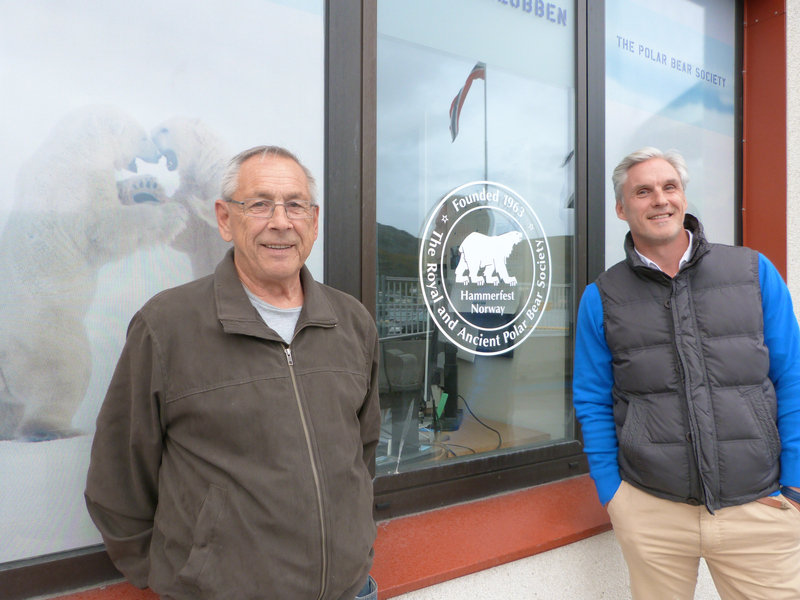 Feddersen and Nissen had been involved in fish production, trapping and export for decades and had run a fleet of fishing boats and a retail business stretching across Finnmark, including Gjevsvår, Honningsvåg, Mehamn and Berlevåg, all destined for destruction in the flames. Now the pace began to pick up. In the following days the remains of the eastern town were burned, the landing stages of the Finnmark Canning Factory and associated buildings were demolished, as was the Robertson coal depot. All the nearby houses were doused with petrol and set ablaze. A fresh southerly wind whipped up a fire started in the elementary school which spread to the centre of the city and burned all night. All the churches – initially earmarked to be saved – were engulfed. The west of Hammerfest was charred timbers. The hospital, refrigeration plant and the offices of the bus and boat company FFR (Finnmark Fylkesrederi) were blown up. The steamboat landing stage was dynamited and the two bridges into town were blown and mines laid on their approaches. The Germans cut down every telegraph pole, rolled up all the cables, smashed all the ceramic conductors and dismantled all the transformers and apparatus at the power station. Then they loaded everything onto ships and took it all away. At 9am on 5 February the power station was shut down and an hour later the transformer stations were blown. Depth charges were laid alongside the 9-inch main pipe to the water works running through the lake. Pipes further out were ruptured when the bridges were brought down. On 6 February orders were issued for all remaining Norwegians, Germans and Soviet prisoners to leave the city. This left behind twenty engineers and a lieutenant to blast the rest of Hammerfest then escape in a tugboat. After each building was burnt, the engineers set explosives to blast the foundations, levelling smoke stacks, apartments and foundations. By 6 February snow had started to fall. A white blanket covered the devastated town with its shattered buildings and charred timbers. On 10 February 1945 the Germans pulled out of Hammerfest. Only the white chapel in the cemetery remained standing. This entry was posted in business, gas, history, Nazi, Norway and tagged gas, Hammerfest, history, Norway, writer. Bookmark the permalink.